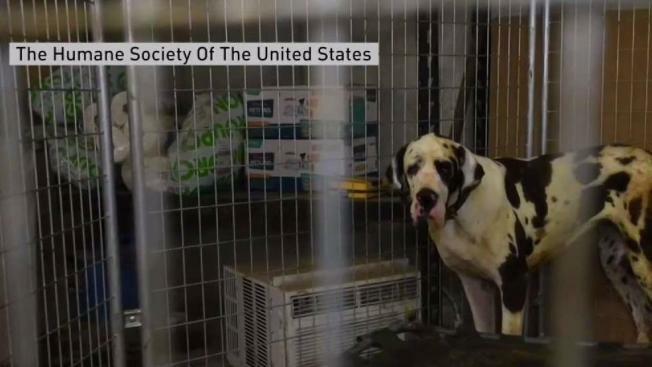 A judge has denied a New Hampshire woman's request for the return or rehoming of her Great Danes after she pleaded not guilty to 12 animal cruelty charges. Christina Fay, of Wolfeboro, said she took care of 84 dogs seized from her property by the state, but authorities said they were living in filth and suffering from sores, infections and other health problems. Fay faces trial on Oct. 16. Fay said she was concerned that the dogs have been subjected to needless surgery and vaccinations. She said some puppies and at least one adult dog died. In an order dated Friday, the judge said to release the dogs to Fay and various others now would require further transport of them, and perhaps their confiscation, once again, if she is convicted.